The Little Minnesota State Fair! Tom Bly was a dedicated member of the LqP County Fair Board until his untimely death. As a tribute to his memory and his love of racing, there is a special race event held each year during the Lac qui Parle County Fair. All racing fans will enjoy this night of great racing action at the Madison Speedway located on the LqP County Fairgrounds. 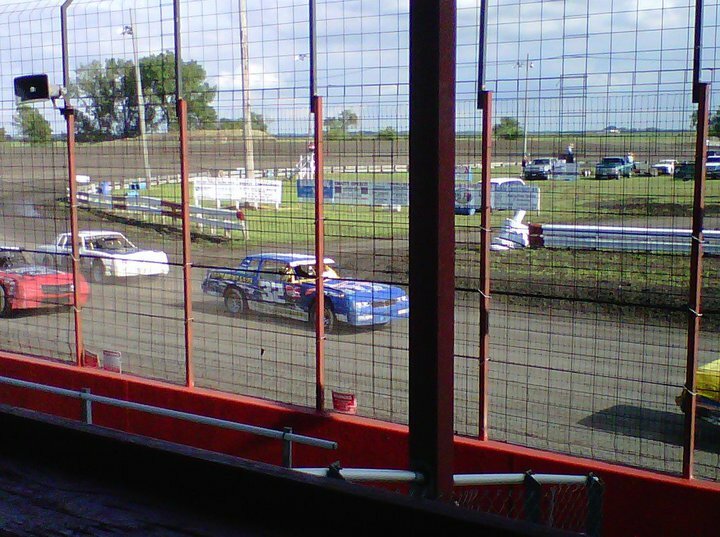 Race Time is at 6 p.m. on Sunday evening of the Lac qui Parle County Fair. Admission to the races is NOT included with your Fair Gate Admission. If you are interested in participating in this racing event, contact Curt Longhenry. The LqP County Fair Board is a volunteer board. Please allow ample time for a response to inquiries. GATE ADMISSION is charged for everyone entering the Fairgrounds. GATE ADMISSION does NOT cover entrance into special events such as: Demo Derby, Races, etc. Additional parking available surrounding the Fairgrounds. Entrants are eligible to win only ONE Trivia question per year. Entrants are eligible to win only ONE Favorites drawing per year. All prizes MUST be claimed & used during the current year of the LqP County Fair. All winners MUST present photo ID to claim their prize. LqP Fair LOOT cannot be redeemed for Cash. LqP County Fairboard Members & Staff of Lehmann Business Services, as well as their immediate family members are NOT ELIGIBLE to win prizes. Please contact us if there are problems that need to be corrected.